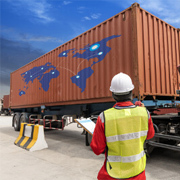 To successfully export overseas, it is essential that you ensure all relevant processes are followed, and that your business has obtained the correct export documentation to avoid delays in customs clearance at their port of discharge. The type of documents needed for exporting transactions usually depend on the type of goods you have. In many cases, the documentation may also vary depending on the requirements of the export country/destination. • China- Australia Free Trade Agreement (ChAFTA) Certificates of Origin, rules of origin, tariff concessions and practical applications. We will also discuss ATA Carnets, Certificates of Free Sale and other chamber issued documents. If not done correctly, you could risk your goods not be able to enter the country and seized by customs.